Marketing is an essential part and parcel of the operations of any firm. When the production of goods and products are completed by the business concern, it becomes necessary that they’re marketed with success as the profits received from selling the goods will not only cover the cost of manufacture but it will also provide them with extra capital for the firm to invest in the new round of production. Therefore, a person who is well versed with the nuances of marketing is a must in any organization, and their resumes are an important way of knowing about their qualifications and abilities. Given below is a list of Sample Resumes. 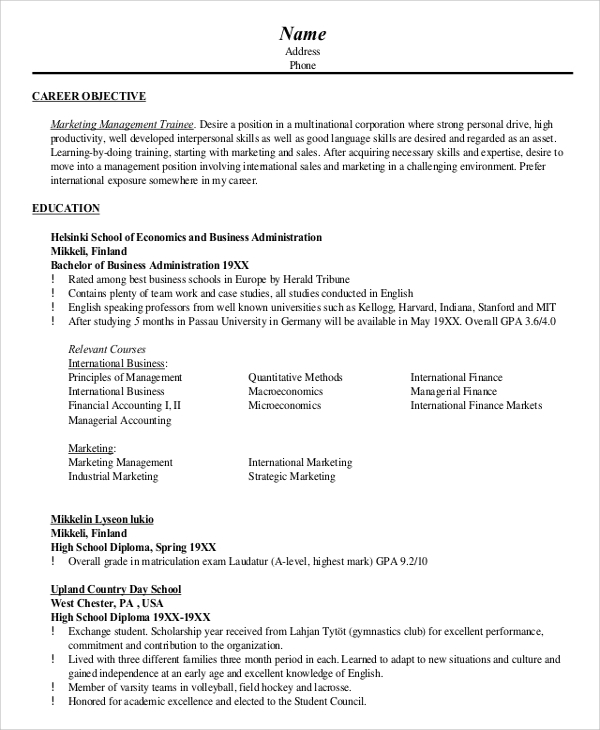 The resume for the position of a marketing manager is an important type of resume, whereby the applicant seeks to apply for the position mentioned above. The resume should contain the necessary educational qualifications and past experiences (if any) in the applicant’s past stint as marketing manager. 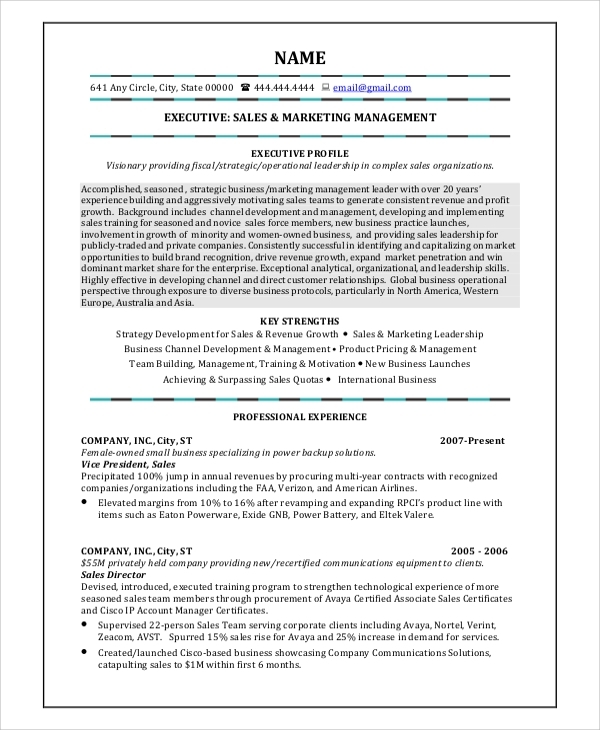 The resume for a marketing professional for a firm should present the applicant’s knowledge about commerce, the process of selling and the various ways in which goods and services can be marketed. It should display the applicant’s aptitude and creativity for such a position, considering the unpredictability of the market. The objective in a resume for the position of a marketing manager should orient itself towards the creation of profits and the successful marketing of goods and services that the enterprise deals with. The stated objective in the resume is a great way to judge the aptitude of the applicant. 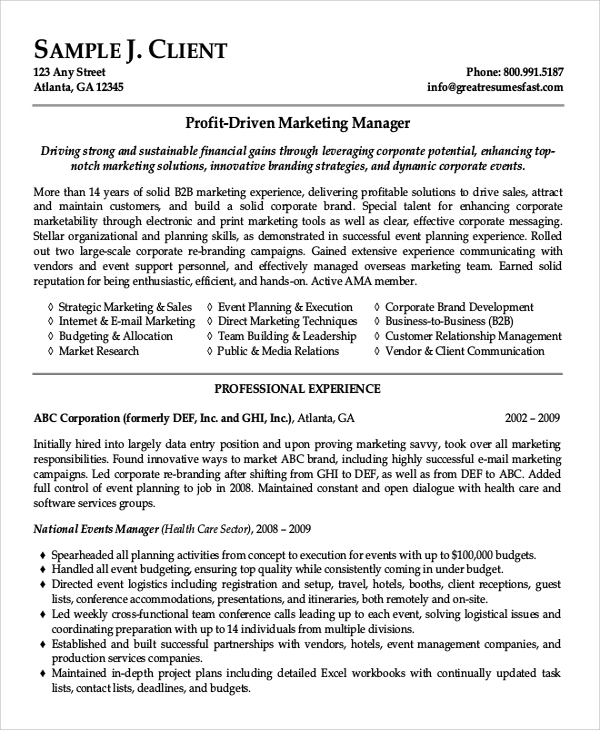 The resume for the position of a marketing executive is another important kind of resume. The position of a marketing executive is at the core of marketing operations of the firm. The marketing executive plans and executes the real marketing strategies with regards to the marketing of existing and new products. The resume should thus show the applicant’s qualifications and ability to do the same. The resume that deals with applying for a position within the marketing team should be formatted properly. The format should follow that of a chronological resume, complete with educational qualifications and past experiences. A stated objective is necessary to display the aptitude of the applicant. 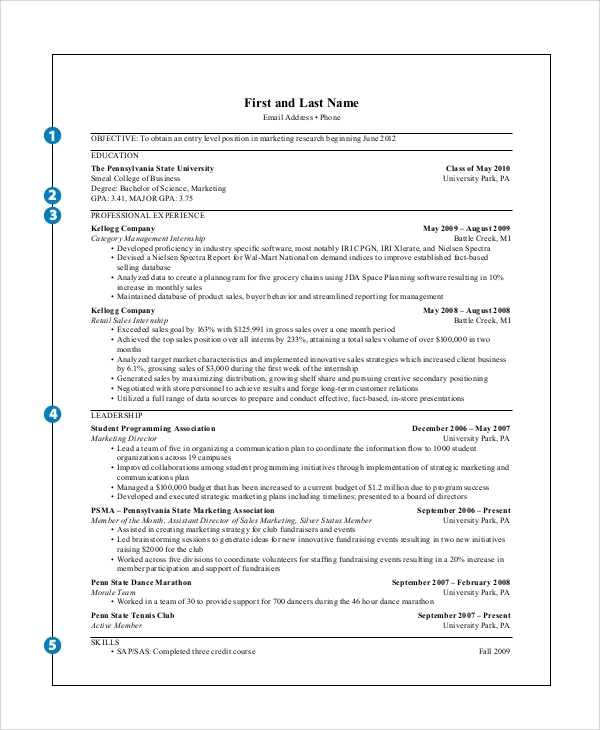 Uses of the Marketing Resumes? 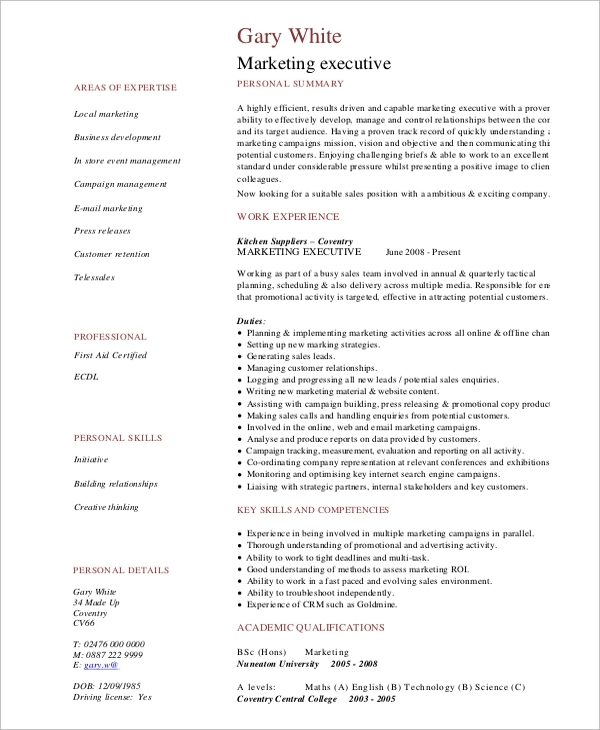 A marketing resume is a useful document for those who wish to apply for a position with the marketing team in a firm. It is an instrument through which an applicant can display his/her professional interest in the field of marketing. 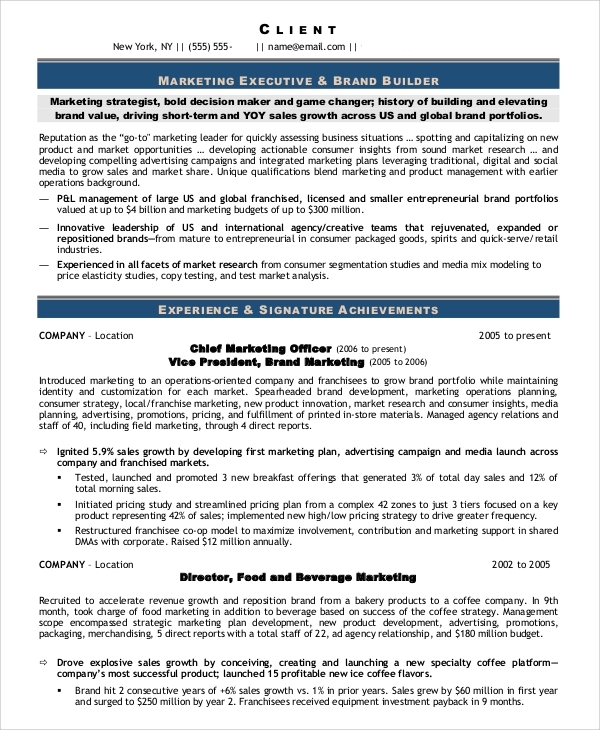 The sample marketing resumes are aimed towards the prospective candidates who wish to apply for a position in the marketing team of an organization. 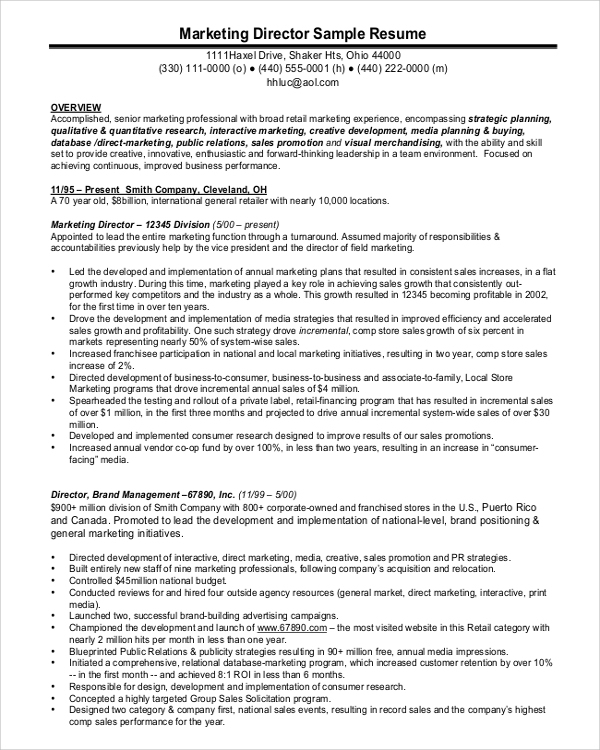 These samples will give them an idea about how resumes for a marketing position is composed and formatted. 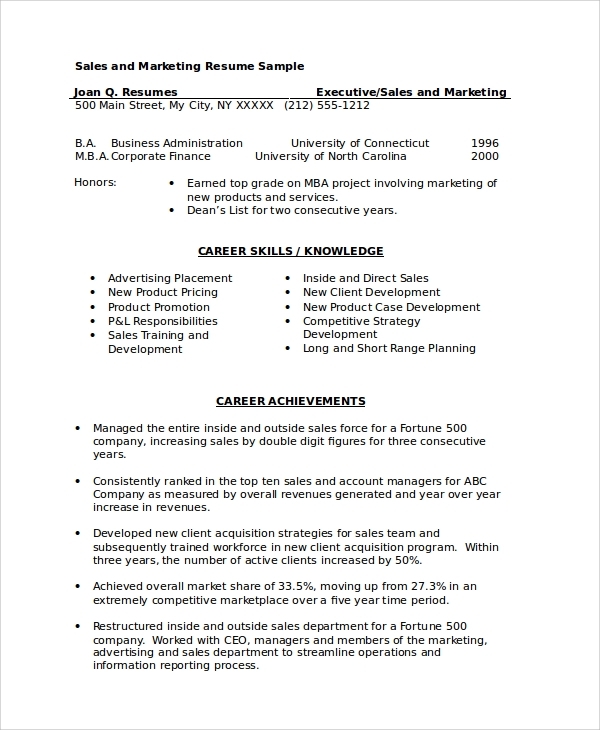 We have an extensive collection of sample Resume Templates that would be useful for getting an idea about how resumes for marketing positions should be written. The templates are editable and can be used as a reference while making an effective resume.